Explanation: The famous Horsehead Nebula in Orion is not alone. A deep exposure shows that the dark familiar shaped indentation, visible just below center, is part of a vast complex of absorbing dust and glowing gas. 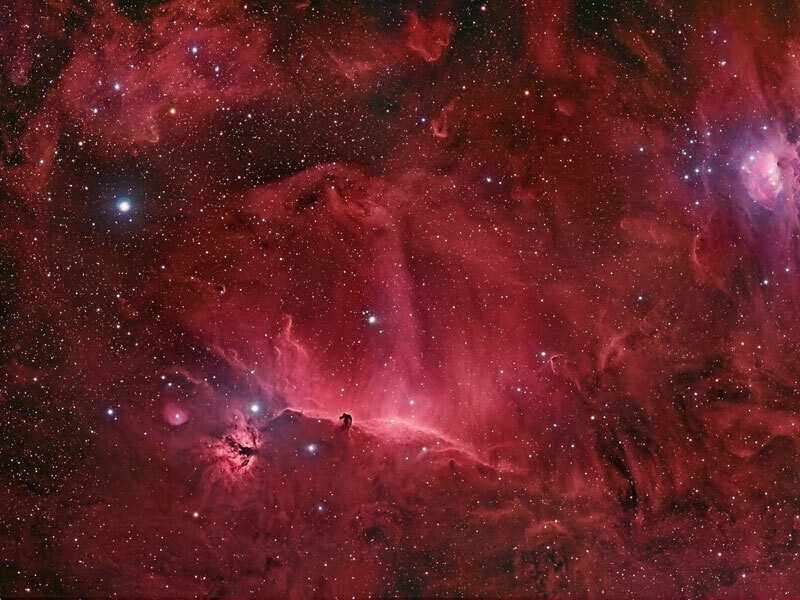 To bring out details of the Horsehead's pasture, amateur astronomers at the Star Shadow Remote Observatory in New Mexico, USA fixed a small telescope on the region for over seven hours filtering out all but a very specific color of red light emitted by hydrogen. They then added the image to a full color frame taken over three hours. 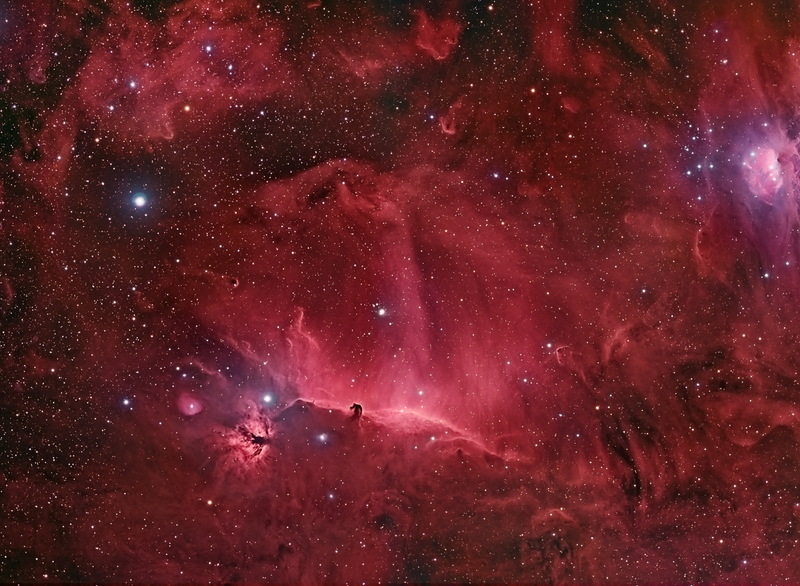 The resulting spectacular picture details an intricate tapestry of gaseous wisps and dust-laden filaments that were created and sculpted over eons by stellar winds and ancient supernovas. The Horsehead Nebula lies 1,500 light years distant towards the constellation of Orion. Two stars from the Orion's Belt can be found in the above image.